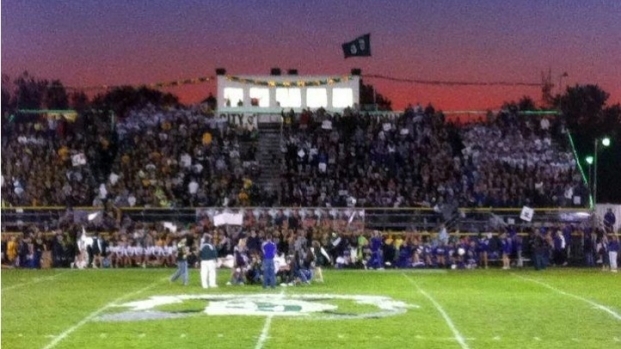 Hundreds of students took over the Coal City High School football stadium on Friday for NBC 5's Prep Destination of the week segment. All dressed in school colors, Panthers and Coaler fans cheered on their teams all morning long, as our cameras captured their school spirit. The Coal City Coalers will take on the Manteno Panthers on Friday night. Kickoff for the sophomore team begins at 5:30 p.m., while the varsity game will begin at 7:30 p.m.
Could your high school football match-up be the next Prep Destination of the week? Every week, NBC 5 News Today will take a vote beginning on Monday ending on Wednesday at noon to find out where you want to send our crew. After polls close on Wednesday, our team will head to the winning school for an early-morning tailgate! Be sure to watch for your favorite school on Facebook! Cast your Prep Destination vote, and watch NBC 5 News Today on Thursday to see where we'll head for that week.